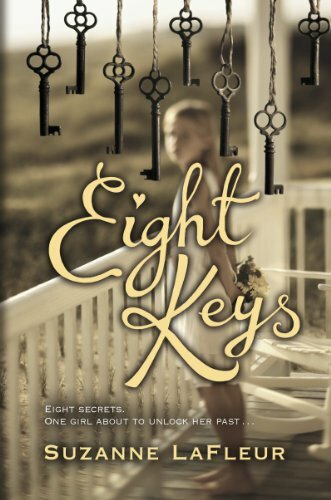 Eight keys is a beautifully written story about friendship, family and belonging. I enjoyed reading it and will certainly be looking to read more of the author's work very soon. The first was about family and belonging. Elise lives with Aunt and Uncle after having lost both her parents at a young age. She gets on well with them but often has questions about her real parents floating around her head. 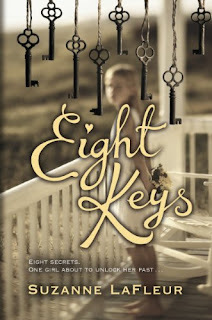 As the book progresses Elise receives eight keys each one unlocking a different room prepared by her father before he died to teach Elise something or tell her more about her family. I loved how this was done and thought it was a really nice touch. The second message I though the book has was one about friendship and fitting in. Elise starts Middle School and has a terrible time due to the stereotypical "popular" girl in her class who goes out of her way to make Elise's life miserable. In a bid to deal the problem Elise alienates her best friend without realising she is doing it. Again I thought it was a really nice message and actually a bit of a thinker in itself as it something that I think many of us have done (even unwittingly) at some point in our lives as an attempt to fit in. All in all a wonderful book which I enjoyed and would recommend to others. I really loved this one! For me it was very emotional, I adore books that deal with family and belonging like this one did. I loved this book! I haven't read Suzanne LaFleur's debut but I want to after finishing this one. It made me cry! Agree...this was a lovely book! One I'm saving for Lu when she's older.